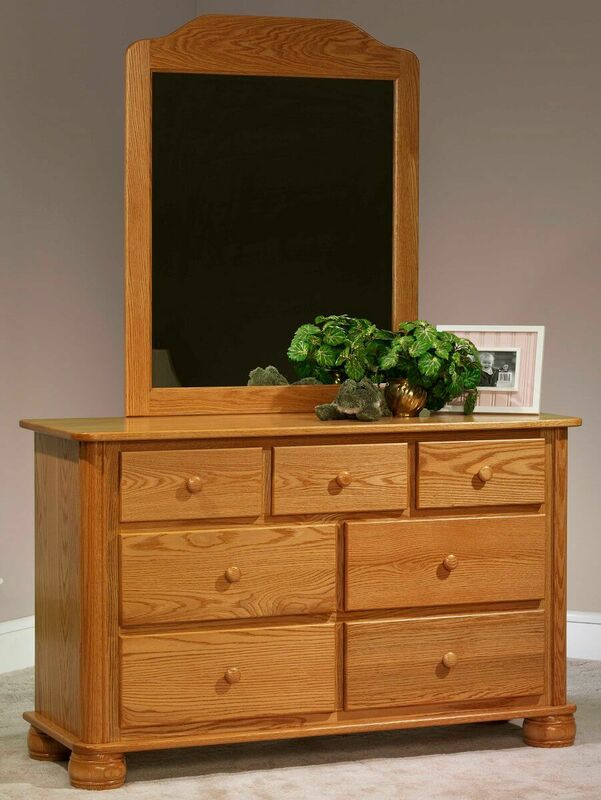 Large dressers are a specialty of Amish craftsman. 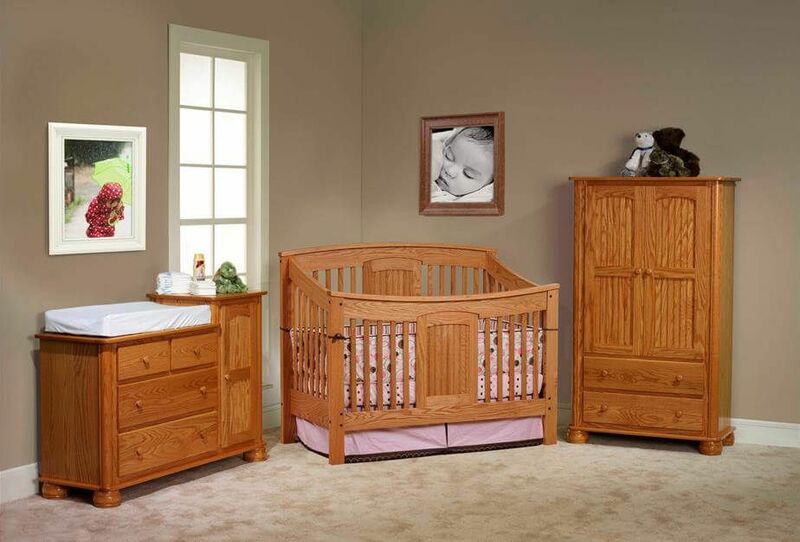 In the Denbigh Dresser, French Country style furniture is blended with superior quality to last forever. 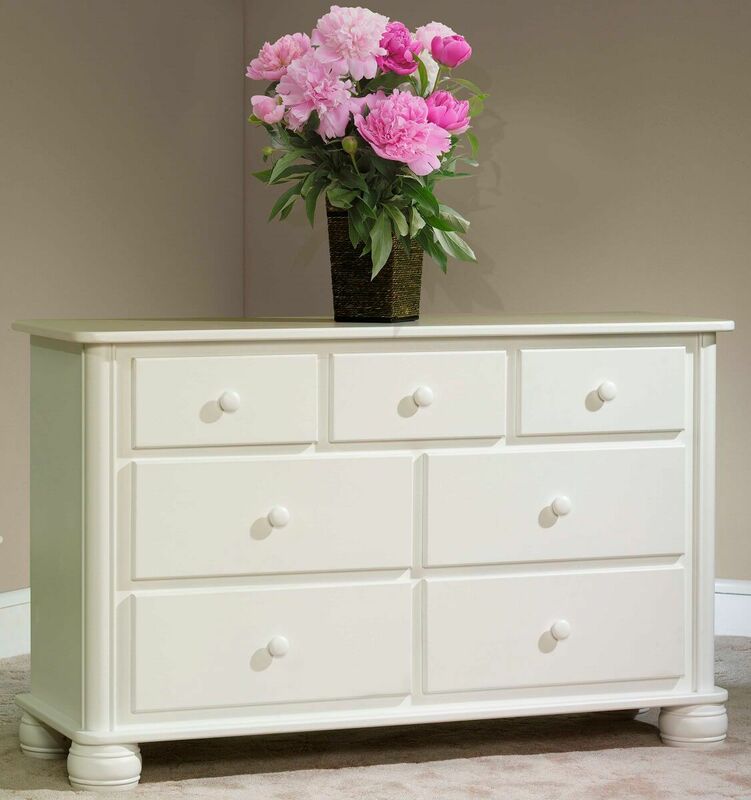 The seven spacious drawers of the Denbigh Amish Dresser are constructed with dovetailed joinery to ensure a lifetime of use due to durability and added weight capacity. Mortise and tenon is used in the remaining joints to ensure that your dresser resists being pulled apart over time. Large, rounded bun feet serve as the base for this French Country nursery dresser. 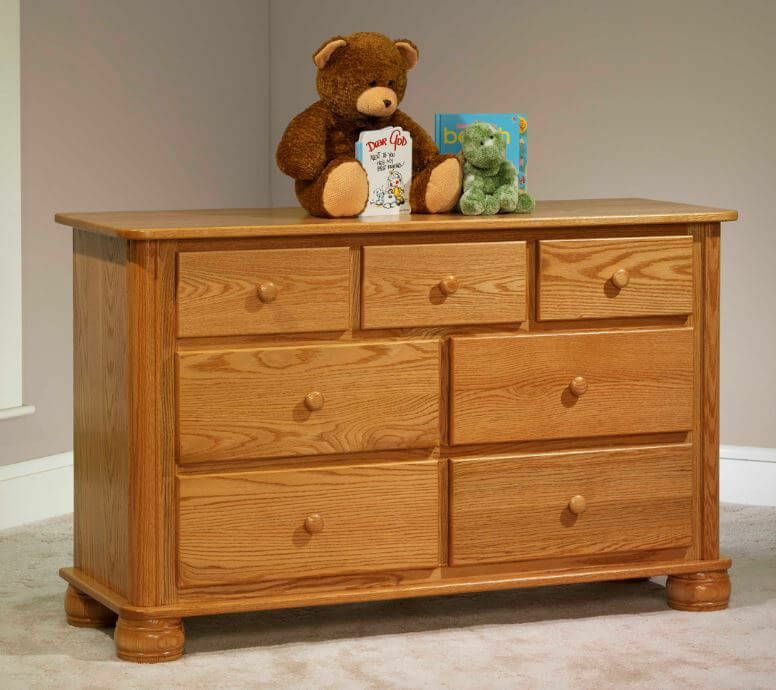 Choose your desired wood species, finish, and hardware from our options menu to create a timeless dresser for your baby's new room that will last well into their teenage years and more.